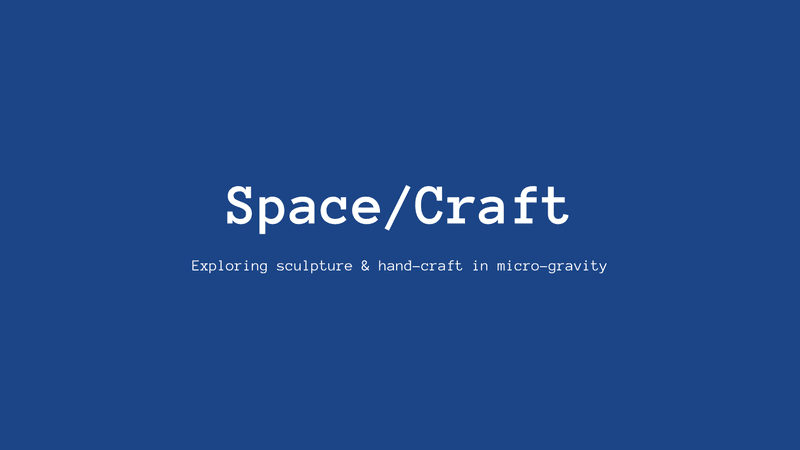 Space/Craft explores sculpting in zero-gravity. 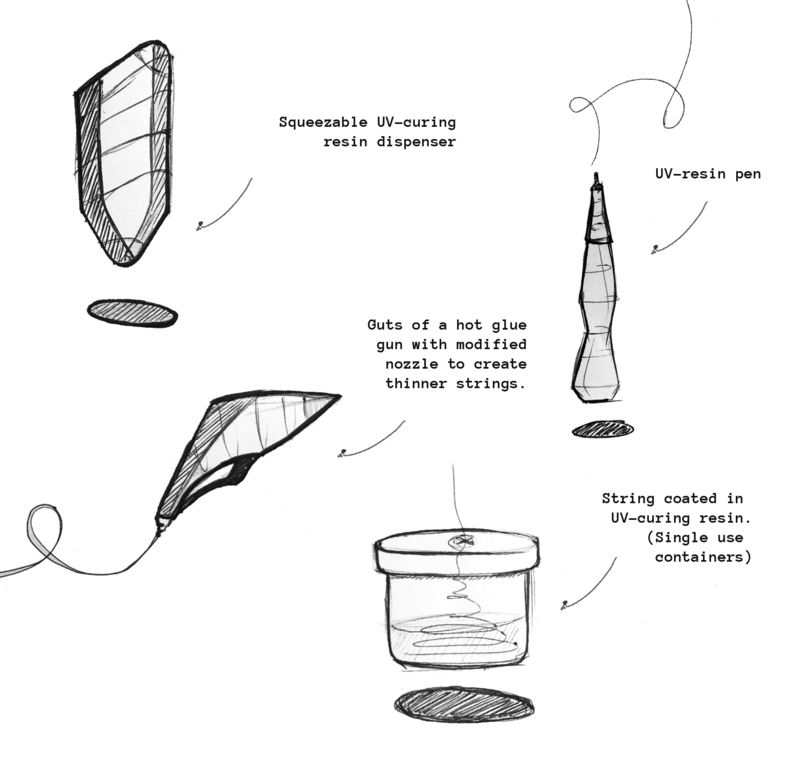 Making artistic works by hand is a fundamentally human act, but how will it transform in space? What non-existent forms of artistic expression does different gravity enable? Current explorations for the visual design of the sculpting tool — inspired by modernist sculptors (e.g. Brancusi, Dal Fabbro), traditional hand tools for woodworking / craft jewelry, and brass detailing. 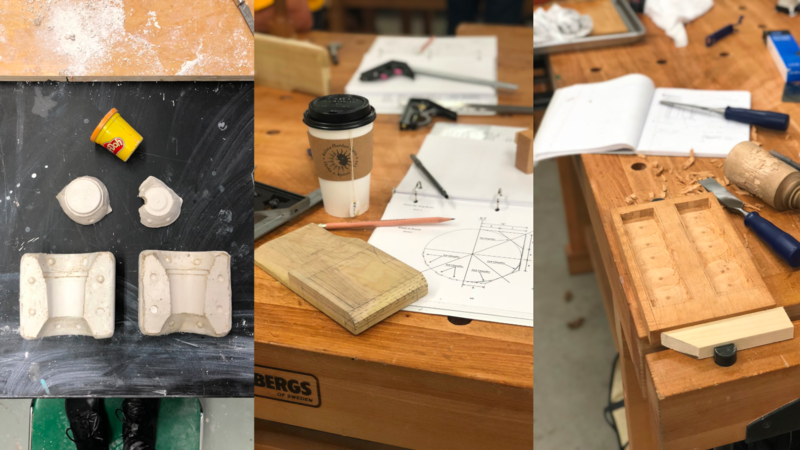 Also some exciting news — the project received a grant from the Council for the Arts at MIT to produce both the sculpting tool, as well as two hand-crafted wooden furniture concepts for the zero-g environment. Thank you, CAMIT! My motivation comes from my obsession with hand craft. I love digital fabrication, but over the past few years I’ve been working outside of MIT to learn traditional processes of making things by hand. It’s extremely rewarding, and something that connects me to a feeling of being human, and also connecting with the past. 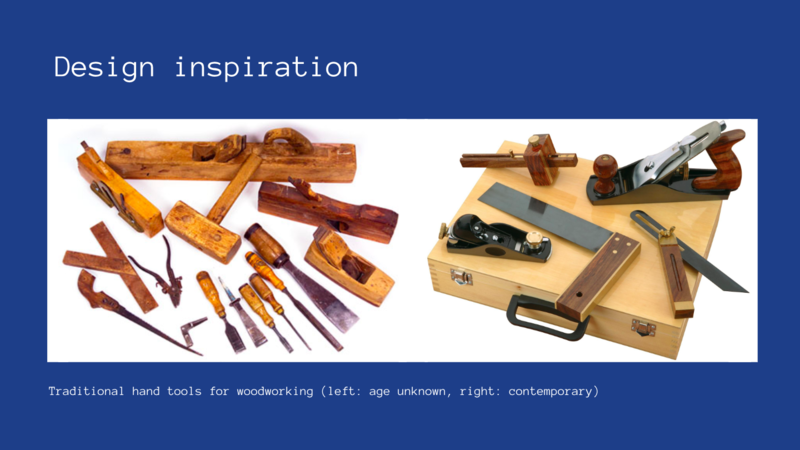 The tool itself will draw from the design language of traditional tools for woodworking, as well as abstract forms created by early modernist wood sculptors. Early sketches for the design of the containment cube. I’m still deciding whether or not to pursue a resin-sculpting approach, or work with a modified hot-glue gun as the extruding tool. One of my next steps is to purchase and test UV-curing resins to assess feasibility. To explore the hot-glue gun extruder, I need to experiment with the battery-powered unit, and possibly create and test modified nozzles for the tool. This project will need to be actively contained as it includes floating materials. I need to explore options for containment chamber, as well as how I will be in a comfortable and effective position for sculpting. 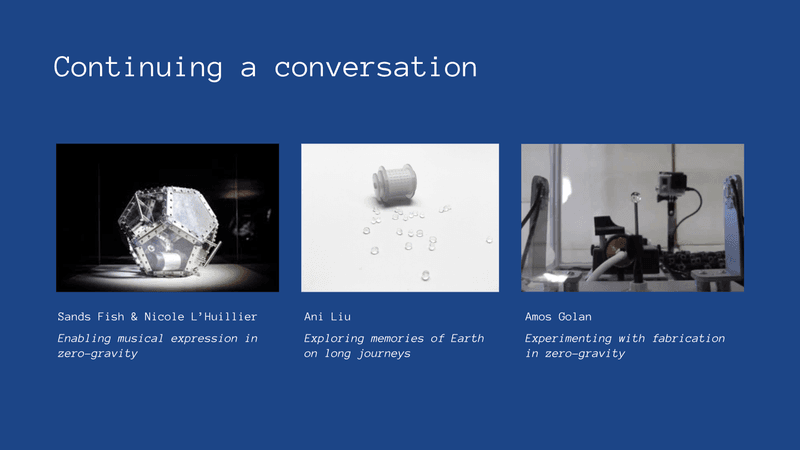 Space/Craft explores the human gesture and mark-making in zero-gravity. Making artistic works by hand is a fundamentally human act, but how will it transform in space? What non-existent forms of artistic expression does different gravity enable? Prior work has explored the adaptation of mark-making techniques, like painting, in zero-gravity (e.g. 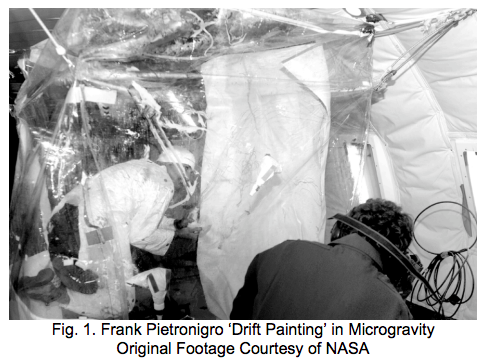 Frank Pietronigro’s creativity chamber for drift painting, 1998). 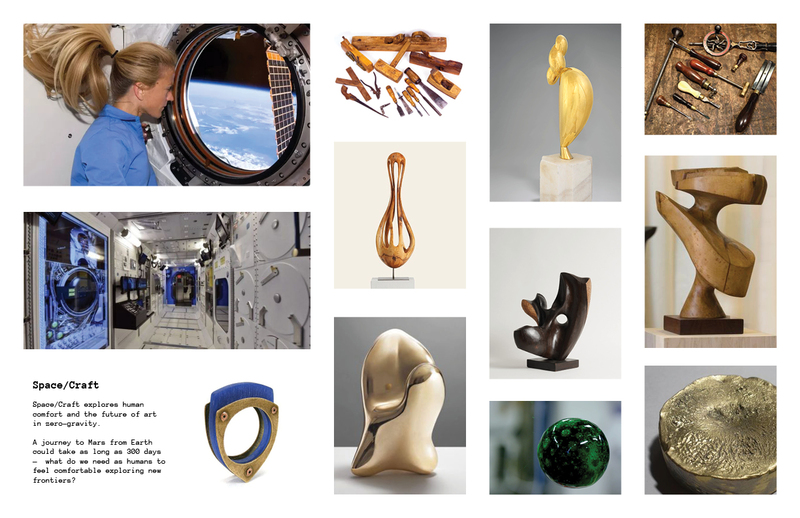 Less explored in zero-gravity are sculptural works, although 3D printing has been shown to work normally in space (NASA technical publication, 2017). Digital modeling tools allow us to break the laws of physics as we create, but we can’t replicate those processes on earth. 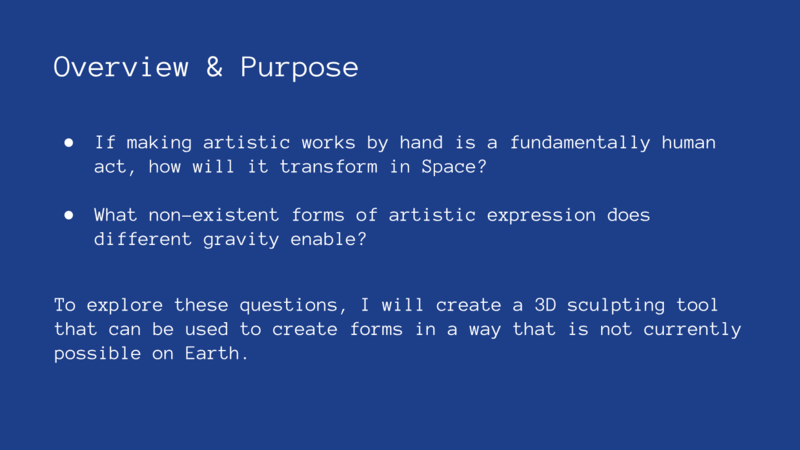 Space/Craft will explore the artistic processes and possibilities enabled by zero-gravity by creating a spatial mark-making tool that will allow for "drawing in 3D." 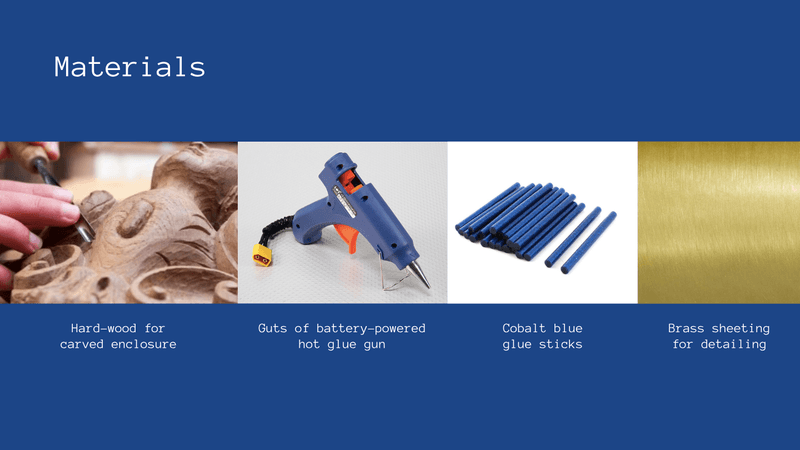 This mark-making tool will be prototyped using a modified hot-glue gun with a smaller nozzle and an enclosure redesigned for safety and ease-of-use. 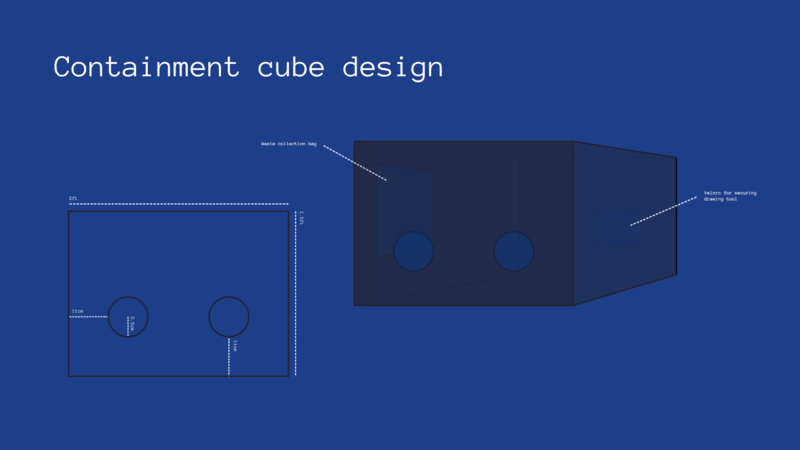 During each cycle of zero- or micro-gravity, the artist will use the mark-making tool to sculpt shapes inside of a containment cube that is actively cooled by a fan. The thin strings of glue will float into forms that could not be created on earth by the same process, and then cool in order to “freeze” in that position. The containment cube will be video recorded as the works are created, to be shared after the flight with communities of craft and design. The cooled sculptures will also be preserved so they can be exhibited after the flight. This project will inform reflective writing about the evolving nature of hand-craft in new environments that humans will likely inhabit in the future. Note: Another option for mark-making I would like to explore in parallel is a string pulled out of a container of UV resin or liquid plastic. That string can be shaped by the artist’s hand while in zero- or micro-gravity—also inside a containment cube—and can be flash cured via a UV light to freeze in place at the end of each cycle of zero- or micro-gravity.